TheIveco Daily is without a doubt the toughest van from the road. The company is specialized in building big trucks and the Daily is the only van in its lineup. Thanks to its rugged character and the heavy duty origins, we can say that The Daily it’s like a big truck scaled down for light commercial purposes. The vehicle is also much stronger than its rivals and features a ladder frame chassis which is a configuration that’s usually used by trucks. The vehicle has a long history behind it with the first generation being sold between 1978 and 1993. The subject of this review is represented by the second generation that was available between 1993 – 2006. 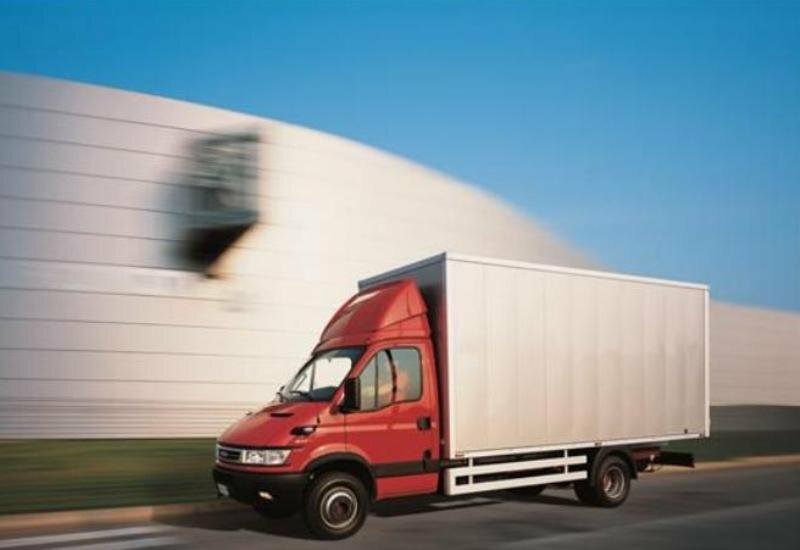 The second generation Iveco Daily was offered with various gross vehicle weights that ranged from 2.8 tonnes to 6.5 tonnes and had a starting price of $ 27.300. As most vans of its time, the second generation Iveco Daily had a pretty rudimentary design and the company didn’t even tried to hide its bulky appearance. Needless to say that the vehicle had a typical van look with a boxy body and a short nose. 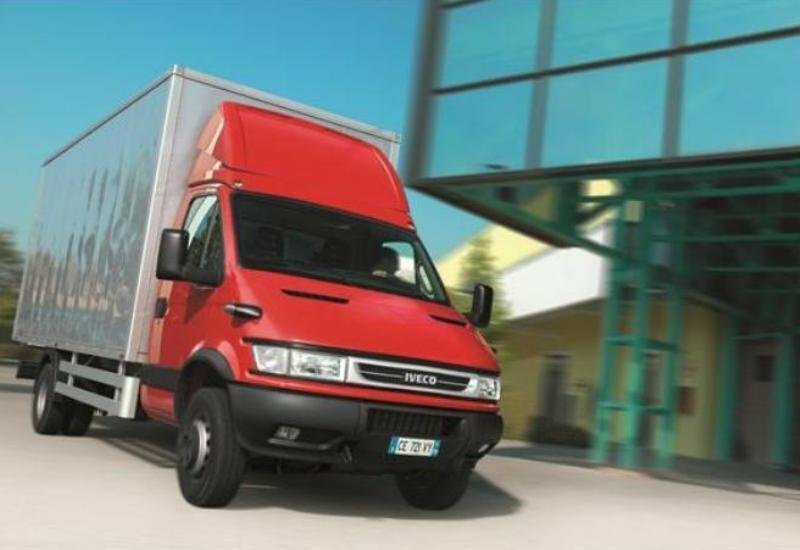 The front end had a pretty agricultural style with simple rectangular lights and a chunky radiator grille which hosted the IVECO badge in its center. The plastic bumper had a solid construction and was fitted with a central air intake, enhancing the purposeful look of the vehicle. 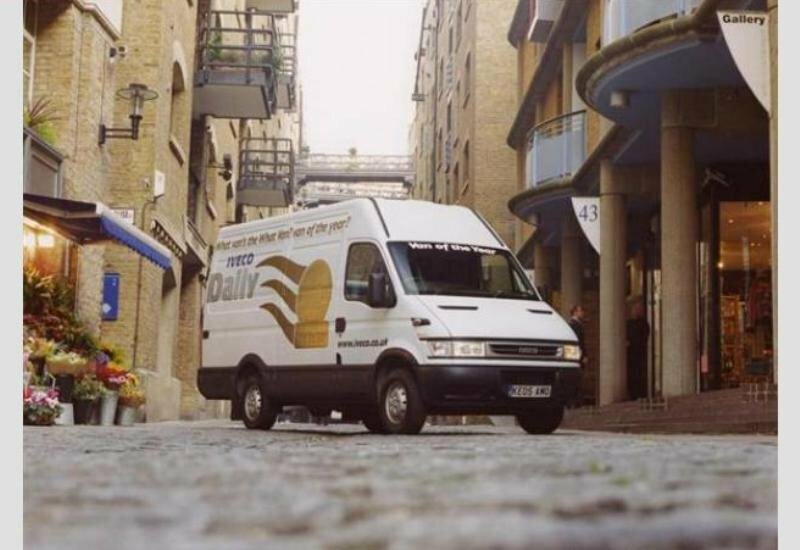 The boxy shape of the Iveco Daily made it a fairly practical van with load volumes varying from 7 to 17 cubic meters depending on the version. There were also various payload capacitates available, ranging from 1075 kg to 3860 kg. As most vehicles on its type, the Daily was also fitted with sliding side doors, while at the back it had two huge side hinged doors. To offer easy access to the cargo bay, the rear bumper incorporates a useful step, which helps you operate loads much easier. Once inside, you’ll find a rugged cabin filled with hard plastics. The good part it that everything inside has a strong build quality and the controls and switches are massive, being easy to use even with gloves on. The dashboard is slightly angled towards the driver, so you’ll have easy access to most of the controls. The general atmosphere is pretty spartan, but we especially like the big, comfortable seats that won’t leave you with any back pains even after a longer journey. The driver’s seat has also many useful adjustments, so finding your favorite position won’t be hard. The instrument panel has an old school style with huge white faced gauges that can be read easily in any situation. We also like the ergonomic steering wheel, which despite its dull design, feels great to hold and it’s also offered with a few adjustments o make your life on board easier. Needless to say, that the all around visibility was nothing short of excellent thanks to the panoramic windscreen and the relatively thin pillars. The old Iveco Daily falls short on standard equipments as the most interesting feature was a radio/cassette player with a detachable front. The options list however was pretty rich and for an extra back you could’ve ordered features such as air-conditioning, ABS brakes, sat-nav and electric windows. 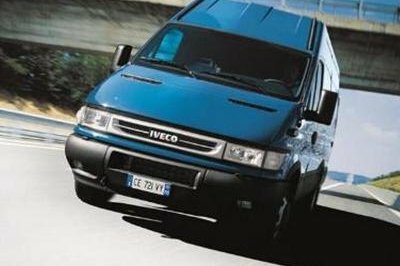 Until 2005, the Iveco Daily, was available with 2.8 liter diesel engines which developed 90 hp, 105 hp and 125 hp. These engines were upgraded with stronger and more efficient 2.3 liter and 3.0 liter units. 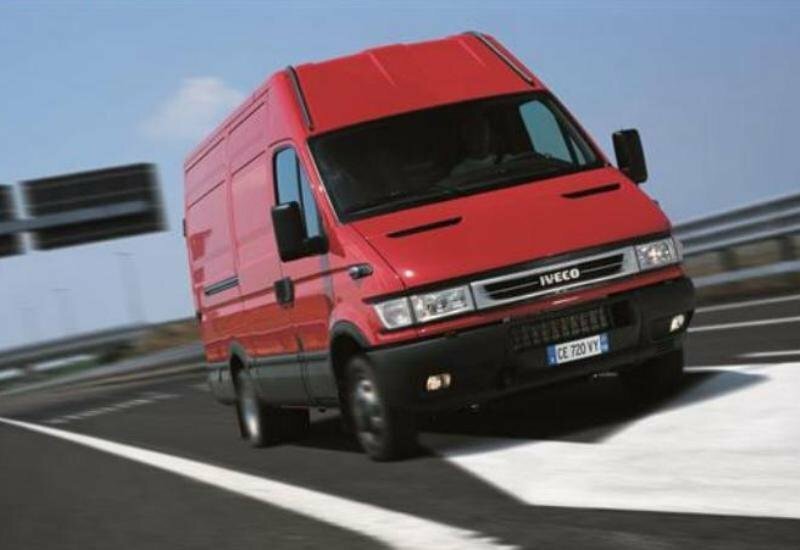 The new engines offered maximum outputs of up to 166 hp, making the Iveco Daily, the most powerful panel van of its time. The engines were mated on a six speed manual gearbox, but there was also available a semi-automatic Agile transmission that was fairly refined and responsive coping great with the utilitarian nature of the vehicle. The manual transmission however, was anything but smooth and had an annoying notchy feel that spoiled all the fun. Regardless of what engine option you’ll choose, the vehicle never feels underpowered and at high speeds, is pretty smooth. The Iveco Daily is equipped with front and rear leaf suspensions. Thanks to its body on frame chassis, the vehicle has a quiet ride and soaks most of the road bumps without too much drama. The handling however, isn’t the best you’ll find around and there is also a pretty big body roll effect when cornering. When driving the Daily, you’ll feel more like driving a big truck, but this doesn’t mean that it’s hard to control. Thanks to its sharp and light steering you can deal well with the city traffic. You won’t have any major complains about the stopping power either, as you can rely with confidence on the capable front or rear disc brakes. The Iveco Daily was one of the most rugged vans in its segment. Its ladder on frame chassis helped it to deal even with the most arduous working conditions without whining, while the ride quality was also surprisingly good. The cabin wasn’t as attractive as other vehicles in its class, but the seats were fairly comfortable and everything had a solid build quality. The main advantage of the Iveco Daily was its strong engines that offered the best performances in the class. On the other hand, the handling wasn’t something to rave about and the vehicle had a pretty accentuated body roll.